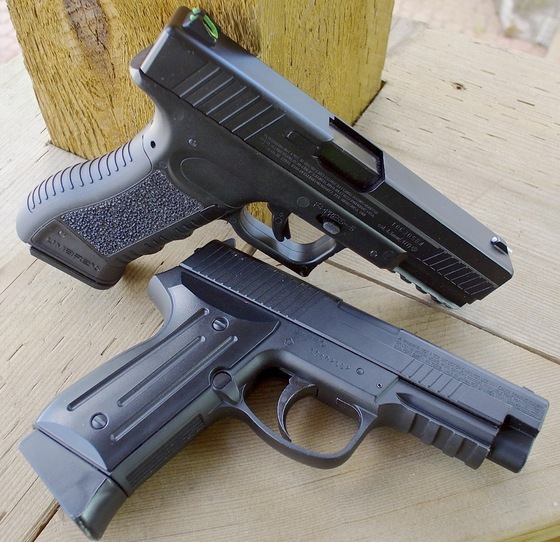 Some "not so new" CO2 Blowback 4.5mm Steel BB Pistols from Umarex, but still popular Replica BB guns that have received a lot of attention and to be honest have to date not had a real "proper" Field Test. So why not put the Umarex SA177 and Umarex HPP side by side for yet another installment of Head to Head Shootouts! On a positive note, you can still get the Umarex HPP which in my opinion was always a better shooter with a much heavier and snappier blowback along with a very smooth trigger. And yes we have it the HPP for sale in our Canada and US Replica Airguns Stores. 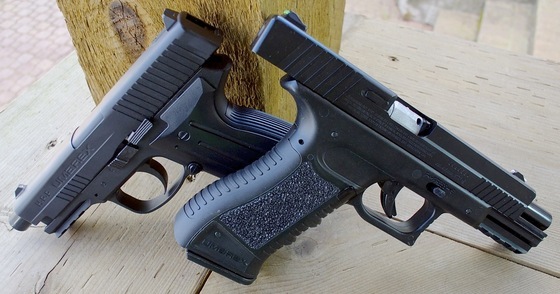 Getting back to this Field Test Head to Head Shootout for the Umarex SA177 and HPP CO2 Blowback 4.5mm Steel BB Pistols. I tested them both out on the Chronograph shooting 5 rounds in each gun using a brand new 12 gram CO2 in combination with 5.1 grain Umarex Zinc Coated Steel BB's. The SA177 average a bit higher at 395 fps while the HPP came in just a hair lower at a respectable 372 fps average. In terms of accuracy from 30 feet out using a semi rested position (sand bag in the front, standing in the back), Both guns wanted to shoot just a bit to the left and they both had a definite internal tighter group that was about 1.5 inches with some strays that came outside opening the groups up to around 3 inches or so. 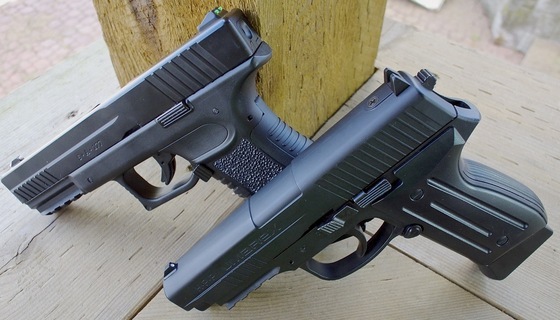 Both BB Air Pistols worked flawlessly with no problems, again the Umarex HPP for me was more enjoyable to shoot with it's heavy blowback and lighter trigger over the SA177. You can also expect to get around 100 or even more shots out of a single CO2 cartridge.